Massages typically last between 45 minutes to one hour and are tailored to the individual clients needs. Our highly trained staff are certified for equine and canine massage through Equissage, the leading and oldest trainer of animal massage therapy. We recently incorporated the use of an electro-acupressure machine into our equine massage therapy program. This equipment aids in sucessfully treating several areas of the horse including neck, shoulders, back, hip, hock, and stifle pain. I am excited to be offering this new service to my customers that is proven to speed healing and reduce chronic inflammation. As an official distributor for TheraPlate Revolution LLC customers also have the opportunity to purchase a TheraPlate for themselves. 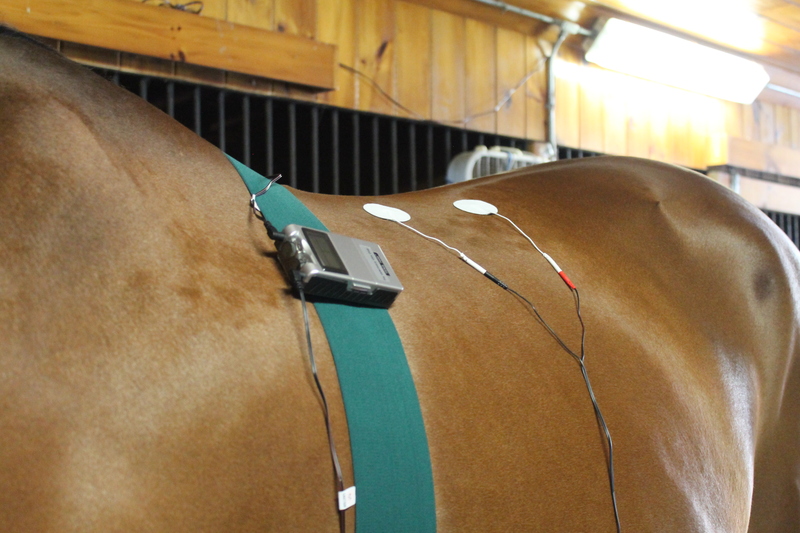 Give your horse the Theraplate advantage. 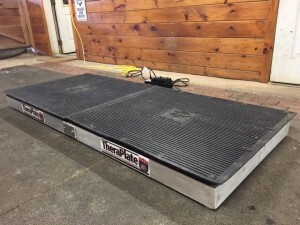 For more information go to www.theraplate.com this is the official therapy plate for the U.S. Equestrian Federation (USEF). For more information on the services we provide or to schedule a massage please contact us via our contact form or call Cassie at 1-603-509-0478.